Psychotherapists often hear a term, medical necessity, which is somewhat unfamiliar to them. Others treat the concept pro forma, complying superficially with the requirement. They may write documentation which they guess will pass review by the insurance companies so the clients’ services will be covered. Let’s take the concept seriously. Let’s take a look at the criteria for medical necessity. I propose turning the concept around for therapists from one to renounce or one to out-smart to one which can guide clinicians in assessment, documentation, treatment planning, and clinical responsibility. 3) that, therefore, medical insurance should cover the cost of the medical procedure. Examination of a typical prior authorization form demonstrates these requirements. *The form usually identifies the patient, the facility, and the therapist. *The form asks for a diagnosis. *The form asks for supporting symptoms, history, and mental status in order to show both 1) the diagnoses and 2) the degree of impairment or severity of the condition. *The form asks for the proposed treatments and an idea of how the treatments will make a difference – the goals – in symptoms, functioning, and impairments. In effect, the forms are asking for us to validate the medical necessity of the services. 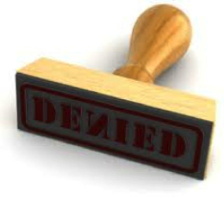 Other insurers may not require prior authorization. Upon a chart audit, they expect to find the very same requirements have been met. The chart documentation of the diagnostic assessment, treatment plan, progress notes, and discharge summary must show that medical necessity criteria were applied, the proposed treatment was provided, and the outcome which is consistent with the purpose of the treatment. Wisconsin Administrative Code DHS35 has the same requirements, namely, that we propose treatments or other forms of assistance for all the patient’s problems and we documented how we treated those problems. We will go over this definition and look at examples. We will stress the importance of using goals and definable procedures (treatments). “Medical necessity” is a term used in the United States to represent medical procedures which meet these criteria. Treatments are justifiable and appropriate based upon evidence and the standard of due care. Reasonable for the diagnosis or illness – the treatment is consistent with the symptoms and diagnosis. The treatment is necessary for the improvement of the condition according to accepted standards of care (so it is not “experimental”). Hence, medical necessity includes a diagnosis, standard of due care, and evidential treatment(s). Medicare pays for “medically necessary” services. The reverse is also the case, that Medicare will not pay for services which do not meet this standard. at the appropriate level of intensity which is necessary, safe, and effective. The standard of care may be thought of as that level, type, and intensity of care, based upon credible scientific evidence, which the community of mental health practitioners would consider prudent, appropriate, and effective. As you know from the preference for generic drugs over patented drugs, cost is also a factor in selection of treatments. The selected treatment should not be more costly than another which would produce the same result. Upcoding means charging for a code which produces a higher level of payment than the code which is more appropriate for the treatment or charging for a code which ensures insurance reimbursement when the correct diagnosis or procedure code would not have led to a payment. For example, if outpatient sessions would be sufficient, day treatment coding should not be used in order to enhance reimbursement. For another example, the correct diagnosis is a V-code which is not reimbursed, and we charge based upon a diagnostic code which is reimbursed. Medicaid law provides for fines for those who have a pattern of charging for services which are not reasonably connected to the diagnosis, which are unproven treatments, or which are not appropriate, as well as for diagnosing inappropriately merely to collect payments. Case law has shaped the definition of medical necessity. We tend to believe that clinical judgment is our tool as professionals for determining a treatment is necessary. Not totally so. Our decision by itself does not establish medical necessity. Case law suggests that a community standard could be defined which establishes some objective standard of good practice to which we are expected to conform, insofar as is known in the scientific literature at the time. That case law suggests, furthermore, not only that the treatment be reasonably appropriate and accepted according to published literature, but the treatment is essential or indispensable for the welfare of the patient. Furthermore, not providing the treatment could harm the patient; the treatment could not be omitted without affecting the patient negatively. E.g., Sarcheti v. Blue Shield of California, 729 P2d. 267 (Cal. 1987); Kinzie v. Physicians Liability Insurance Co., 750 P2d. 1140 (Okla. App. 1987); Victum v. Martin, 326 NE 2d. 12 (Mass. 1975); Fialkowski v. Associated Hospital Service, 318 NE 2c1. 26 (Wis. App. 1 982); Jacob v. Blue Cross and Blue Shield of Oregon, 758 P2d. 382 (Ore. App. 1988). This concept compares to informed consent to treatment. You will notice that we have an obligation not only to provide or recommend the treatment which is known to help a condition, but also to warn the patient that omitting it could be harmful. Generally, insurers are not permitted to engage in a practice of limiting medically necessary and clinically proven treatments. However, insurers usually have committees whose role is decide when a treatment has passed from experimental to proven. The care given must not relate to the payer’s bottom line! So limiting care must be based upon standards, not on a benefit to the payer. 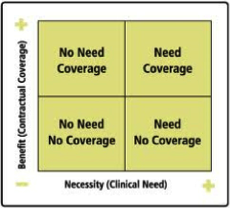 not primarily for the convenience of the patient or Healthcare Provider, a Physician or any other Healthcare Provider, and not more costly than an alternative service or sequence of services at least as likely to produce equivalent therapeutic or diagnostic results as to the diagnosis or treatment of that patient’s illness, injury or disease. Determinations of medical necessity must adhere to the Standard of Care of practice, not merely, the clinician’s judgment. Furthermore, determinations of medical necessity reflect efficient and cost-effective care. Determinations of medical necessity are made on a case-by-case basis according to the Standard of Care. So the CIGNA manual uses the same definition of medical necessity. The Standard of Care or Due Care is a doctrine which tries to define the level of quality of service a patient is “due” by a professional. The Standard of Care is the level of attention, caution, and prudence that a reasonable professional would exercise given the patient’s condition. Acting outside the standard of what an ordinary, reasonable, and prudent professional would do means failing to meet the standard and may constitute negligence. The standard for malpractice is determining the therapist owed a duty to the patient (that is, the person is a patient), determining the standard of care for the condition, determining the therapist was negligent by failing to meet the standard, and that, as a result, damages occurred caused by the failure to meet the standard. There is some emphasis on acts of omission, that is, failing to provide what the standard requires. And there is emphasis on acts of commission, that is, failing to apply the treatments or the cautions that a reasonable person would apply. We are expected to apply a reasonable level of skill and care. In a court case, experts testify as to the standard of care, which would be based upon evidence from the scientific literature which is relevant to the case. The Supreme Court in Daubert v. Merrell Dow Pharmaceuticals Inc [509 U.S. 579, 589 (1993)] set the bar that the evidence should be subject to peer review or publication in a scientific journal and the treatment has been generally accepted as valid by the community of psychotherapists. In workshops, we are often taught a treatment in which a group of professionals adhere to a theory and give testimonial results. The approach makes some sense and may even produce some results. However, we are not usually taught in these seminars or workshops that the practice is considered experimental until such time as peer-reviewed journals publish research validating the theory and/or treatment! Case studies are not evidence. Yes, it is possible for a person or group to self-promote, to recommend a treatment in which someone may benefit financially or one which is not proven by randomized controlled trials or meta-analysis. The concept of medical necessity may be perceived by therapists as a burden imposed by third-party payers. Namely, we have to provide proof prior to treatment that we are proposing to use an evidence-informed treatment for a diagnosed condition. That is a basis for payment. Let’s turn that around. Medical necessity is not an imposition of the insurer. 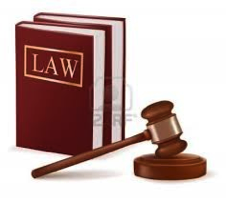 It is a condition for quality treatment, a basis for remuneration, and a standard in law. On the one hand, in order to be paid by an insurer, we have to show that the treatment is proven, reasonable, and connected to a diagnosed condition. After all, we are expecting medical insurance to pay for a medically-necessary and medically appropriate treatment. On the other hand, we have to exercise due care in the choice and application of the treatment(s). 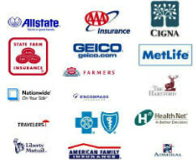 The standard of care is owed to clients even if the client is paying cash and no insurer is involved. But in the case of a cash client, the client may purchase services which are experimental – as long as the nature of the benefits and risks are fully revealed and the client makes an informed decision to use those methods. Also in the case of a cash client, the client can receive care even if the problem may not rise to the level of a diagnosable condition. We still owe the client a standard of due care, that is, reasonable skill and caution in applying the professional services we provide the client. So rather than being only an insurer’s doctrine, medical necessity is a concept which imposes a substantial responsibility upon therapists. The standard is not only what you do with clients, but what you do behind the scenes in order to prepare to accomplish it. In conclusion, examining the concept of medical necessity leads us from thinking about it as an insurance industry concept to the realization the concept has more to do with therapist responsibilities in training and in focusing of therapy. 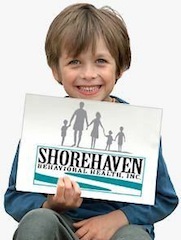 This entry was posted in Therapy Gems on September 20, 2013 by Shorehaven Behavioral Health.